The President of the United States of America, Donald Trump, is systematically implementing the pledges he made during the Presidential election campaign. Those who argued that limitations on Presidential power and the restraining hands of Cabinet and Congress, would cause many, if not all, of the President's promises to fall by the wayside, are now becoming convinced of his determination. He had re-enforced that determination in his Inauguration speech when he told the world, "From this moment on, it's going to be America First". And he spelt out the detail in clear terms by saying, "Every decision on trade, on taxes, on immigration, on foreign affairs, will be made to benefit American workers and American families. We must protect our borders from the ravages of other countries making our products, stealing our companies, and destroying our jobs". "Protection", he said, "will lead to great prosperity and strength". As I pointed out in my last commentary, the 14 independent Caribbean Community (CARICOM) countries have no need to fear on trade in goods with the US. America has consistently enjoyed a balance of trade surplus with CARICOM, reaching US$4.17 billion in 2015, and likely to have been higher in 2016. On this score, President Trump can have no quarrel with the Caribbean. We should be clear. Mr Trump is the elected President of the US according to the country's laws. He is, therefore, entitled to implement the policies on which he campaigned and in support of which he was elected. 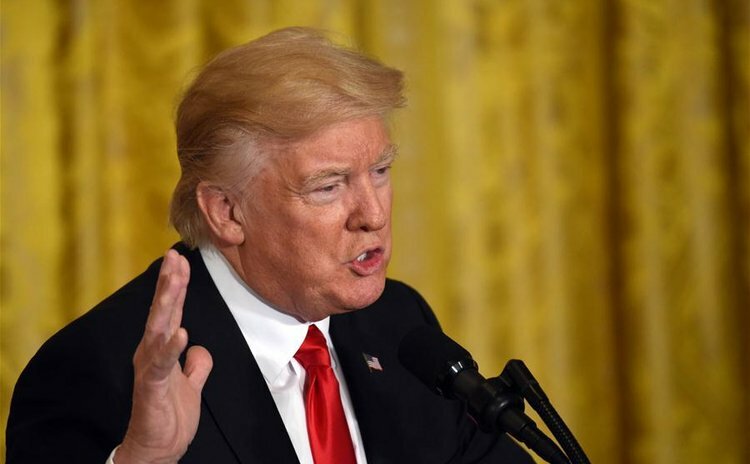 However, there are other policies that President Trump is pursuing that could affect the Caribbean adversely and these require urgent attention by CARICOM governments and active engagement with the US government. Below, I discuss some of these policies and their implications for the region. Climate change and sea level rise: President Trump has abandoned the previous administration's stance on global Climate Change efforts. Evidence of this are: (a) his public statements during the Presidential election campaign; (b) his nomination of Scott Pruitt, a long-time foe of the EPA who has led 14 lawsuits against it, as the agency's administrator; and (c) his instruction to the Environmental Protection Agency to remove the climate change page from its website. The medium and long term consequences for Caribbean countries are grave. Global warming is already at 1.89 degrees Celsius over pre-industrial levels. If there is no massive reduction in carbon emissions (which there will clearly not be now) by the US, the world will quickly reach 2 degrees Celsius at which point sea levels will rise, eroding the coastal area of islands and mainland territories such as Belize and Guyana that are the principal revenue-generating areas for tourism (agriculture in Guyana's case). Lower level islands will be drowned. The economic impact on the Caribbean would be calamitous if not catastrophic. Repatriation of Overseas Funds: The Trump administration proposes to introduce a tax repatriation plan that would see repatriation of a substantial portion of the estimated US$2.6 trillion held overseas. This is very likely to happen since the incentive will be a special one-off tax holiday allowing U.S. firms to repatriate funds held overseas with only a 10% payment, versus the current 35% rate. The effect of this will be to debilitate Caribbean financial institutions that legally hold US assets. There is bound to be some consequential weakening of the financial sector. Reduction of Corporation Tax: President Trump has announced that his administration will lower corporation tax to 15%. When he does this, there will be little need for US Corporations to move overseas. They will be operating in the richest economy in the world with the lowest tax (a virtual tax haven by OECD criteria). Here are the likely results: (i) a lower corporate tax rate won't necessarily reduce corporate tax revenue, particularly as over time there will be more investment and job creation; (ii) a lower corporate tax rate will dramatically – if not completely – eliminate any incentive for American companies to engage in keeping funds overseas; and (c) a lower corporate tax rate will boost workers' wages by increasing the country's capital stock and thus improving productivity. It will become very tough for every other country, including the Caribbean, to woo US investment unless their tax regime for such investment betters 15% (which the Caribbean does now with tax holidays) but the Caribbean would have to work energetically to maximise US investment in unique natural resources – high quality beaches in a Caribbean environment; minerals such as oil and gas and, in the case of Guyana, gold. OECD and G20 rules: Rules of these organisations place strictures on tax competition and demand common reporting standards. These rules are rigidly applied against Caribbean and other developing countries. Countries that fail to comply are blacklisted, affecting their capacity to operate in the international economy. President Trump is clearly putting "America first" in all this as his country has the power to do. Caribbean countries will have to carefully consider whether they can follow the advice of Mr Trump in his inauguration speech – "it is the right of all nations to put their own interests first" – or will a double standard apply in which only powerful countries can set aside rules that do not serve their national interest. To be fair to President Trump, his administration did not contribute to the existing rules. Deportation of Undocumented immigrants: The new US administration intends to deport undocumented immigrants to their country of origin. If there are any undocumented CARICOM nationals, they will suffer that fate. On January 25, Trump signed executive orders that reinstates the Secure Communities Programme which Immigrations and Customs Enforcement (ICE), the branch of the U.S. government that enforces immigration laws, uses to target undocumented immigrants. The Order also directs the State Department to withhold visas or take other measures to ensure that countries take back their undocumented immigrants. It also strips federal grant money from any US city that harbours undocumented immigrants through sanctuary laws. In this situation, Caribbean countries can expect to have an influx of undocumented immigrants. The only way they can prevent this is by refusing to take them. The consequence of that action is that the US will not grant visas of any kind to the nationals of the refusing countries. There may be other sanctions. CARICOM countries should consider the immediate establishment of national Committees at senior level to plan for an influx of undocumented immigrants from the US. These immigrants will be of all sorts, but the majority will be unskilled labourers and many will be below the age of 40. Failure to plan could result in a sudden increase in the population of each country, driving up unemployment and crime and straining their health facilities; their capacity for delivering water; and the capability of their courts, prisons and police. Individually and collectively, Caribbean governments have to engage the Trump administration and the US Congress to discuss these worrying developments that have implications for the region, but also for the US.